Due to wood having unique characteristics, it may have slight imperfections, which I feel add to the rustic look and give each piece character. 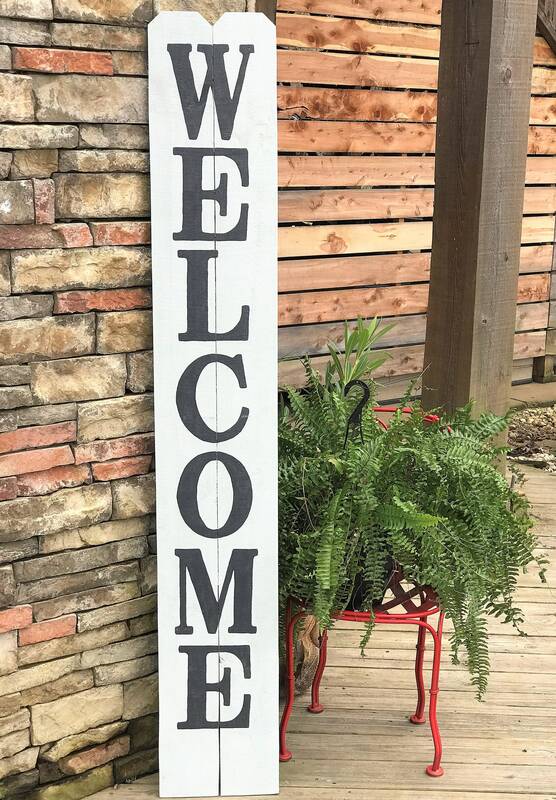 I hand pick the best wood for each particular sign and try my best to make sure your sign will be a great statement piece. Even so, there may be minor imperfections or a slight bow that is typical with outdoor wood. - This particular sign is white. The lettering is painted black. My signs are always 100% hand painted and vinyl is never used. I love my sign. It arrived quickly and looks great!